If you are short of time, the answers to the following 3 questions should let you know all you need to about the Pro 670. If we have missed something, let us know in the comments. 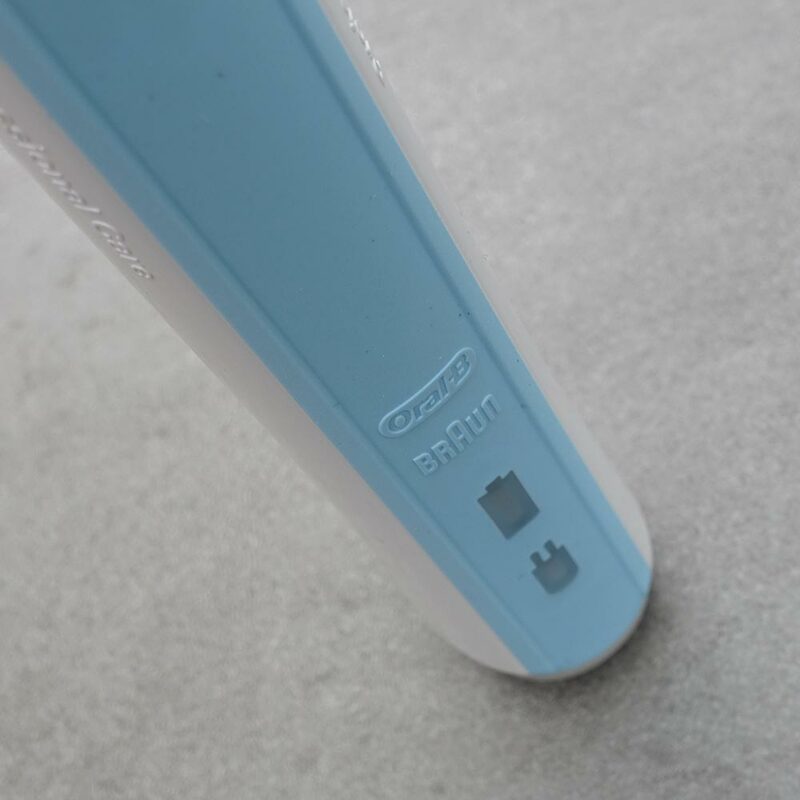 If you want more detail, you can read our full Oral-B Pro 670 review further down the page. The 670 has the basic features you need of an electric toothbrush. There is little to complain about here. For those really looking for a best budget toothbrush option, the Fairywill FW-917 is a great choice. However, for only a few pounds extra, the Oral-B Pro 2 2500 is a much better value purchase and the brush we would be buy. It offers double the battery life, a travel case, extra cleaning mode and a very useful pressure sensor. There are two obvious alternatives. 3. 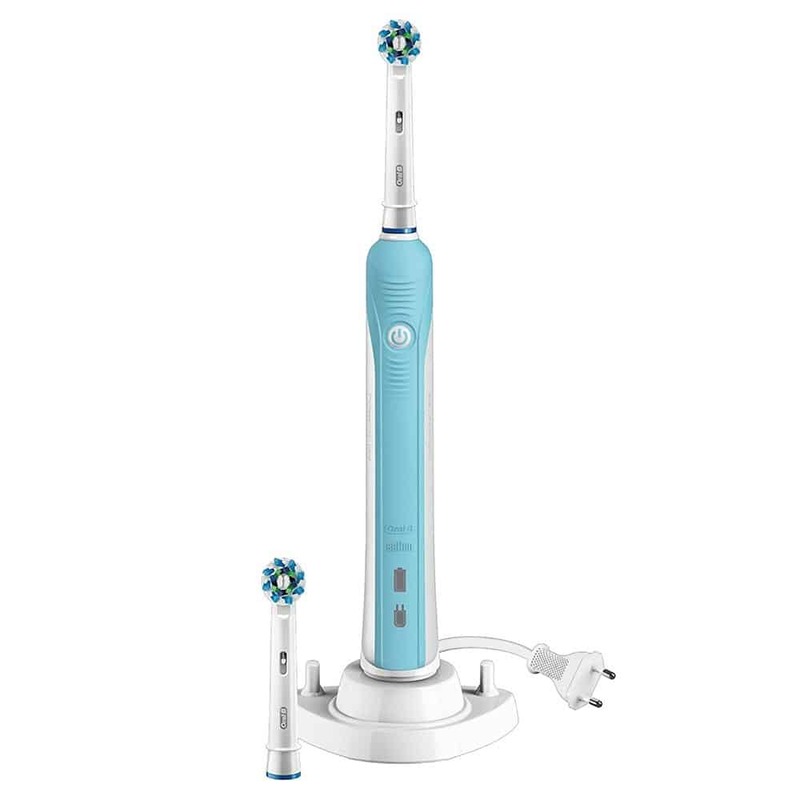 Where is the best place to buy the Oral-B Pro 670 electric toothbrush? There is no one best place to buy this from although availability of this model is not as extensive as some other models from Oral-B. It has a high ticket price but is often subject to discounts/money off of up to half price. We have included a live price comparison of UK retailers below, and it’s always worth checking eBay. 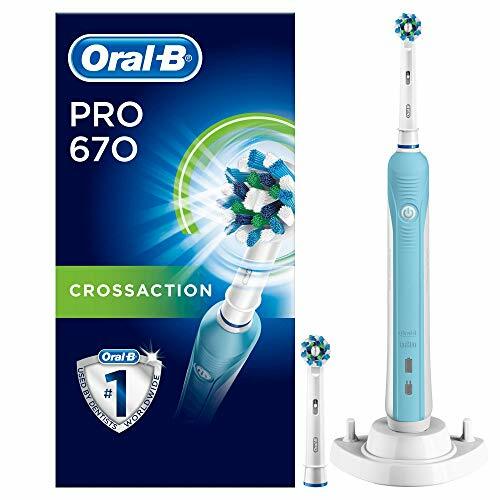 The Pro 670 is not a ‘core’ model within the Oral-B range. It is a variant of the Pro 600. It gets confusing but essentially the 670, is the Pro 600 with a different box contents. Supplied are 2 brush heads rather than 1 and there is a brush head stand included in the box too, something that does not come with the 600. It is worth noting that there is too a Pro 650, which is the Pro 600 but packaged with a travel case. The physical size and features of these models are the same. The handle is gloss white with a rubber grip. On the standard 600 it is normally a very light/baby Blue or Pink. The 650 has a Black rubber grip and the 670 is normally the same light Blue of the 600. Just when you think it could not get any more confusing, the 670 comes in a few different versions. What is the difference? Nothing other than the brush head supplied. All come with 2 brush heads and the brush head stand, but each of the following comes with different style heads. Here are what I consider to be the pros and cons of the Pro 670. Design – Nice and slim and light in hand, there is plenty of points to grip onto. Timer – A quadpacer and 2 minute timer built into the handle to encourage brushing fro the right amount of time. Cleaning mode – Just one cleaning mode makes for a no nonsense, get the job done approach. Box contents – Additional brush heads over the basic Pro 600 and a stand to conveniently store the spare. Battery – You get just 7 days use from the brush. Most other brushes offer 14+ days. I would also prefer a bit more feedback from the brush on how much power remains in the battery. Get a red flashing light when low, but nothing more really. Price – Not always a great deal, alternative brushes offer better value packages. The Oral-B Pro series have one of the best brush handle designs in my opinion. 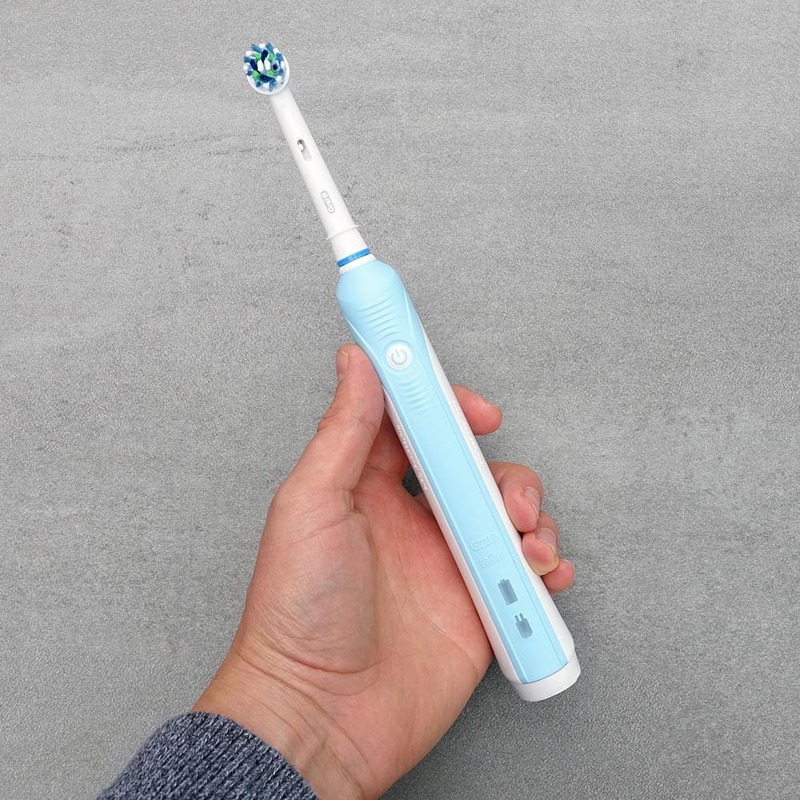 They are not the thinnest, nor the lightest, but I believe they offer a fantastic blend between in hand comfort and grip with style and appeal (as appealing as a toothbrush can be). It is primarily of plastic construction, with the main body of the brush being a smooth touch gloss White plastic, but the coloured rubber type material that runs down the brush handle not only accents the brush from a style point of view it also make is easier to hold in the hand, even when wet. Those with limited dexterity will like the 670 as the grip on the front as well as the harsher contoured plastic grips on the back of the handle really help. Focusing on the handle, this is a sealed unit, which houses the battery inside, the motor and the electronics to make the brush head move. The brush handle is water resistant and can be rinsed under a tap and used in a shower, if that is how you like to brush. However, despite its water resistance it is not designed to be submerged in water. So it is advisable not to bathe with it or let it sink below the waterline. The front of the brush handle is dominated by a rubber grip that runs the length of the handle. A very pale Blue colour, some might call it baby Blue. Positioned almost at the top of the handle is a power button that is White in colour with a power icon on in. It stands out against the rubber grip and has a nice resistance when pressed. Not too soft that it can be accidentally activated, but not too firm it is difficult to press. With only a single cleaning mode on this brush the power button will turn the brush on and launch it into the ‘Daily Clean’ mode. Press it for approximately 2 seconds to turn the brush off. You may desire additional cleaning modes, if you do the 670 is not the brush for you. 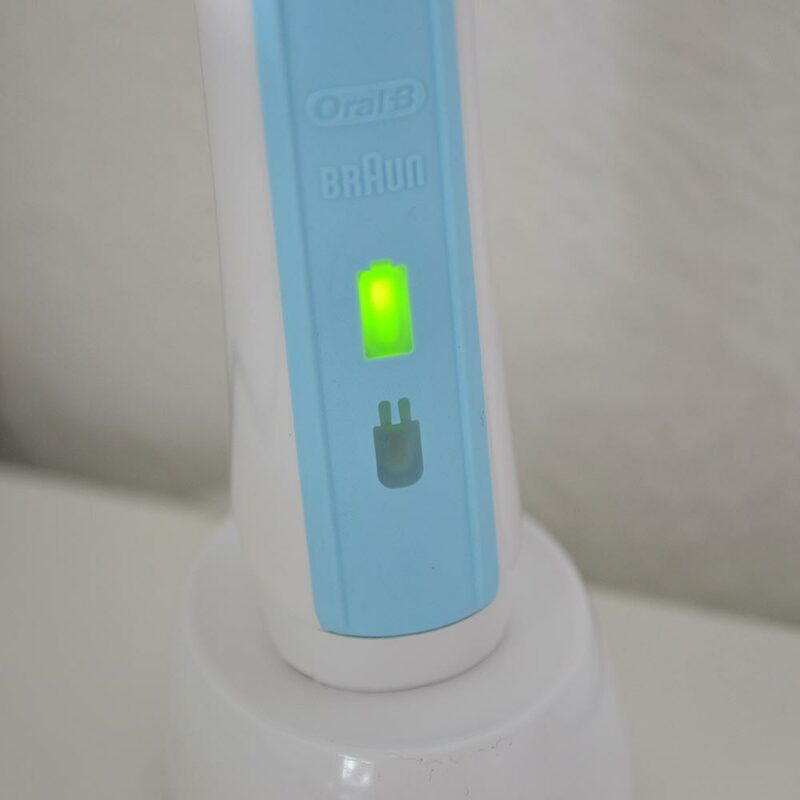 Despite many opting for electric toothbrushes with more than one mode, it would seem from our experience, most end up actually defaulting to using just one mode, more often than not, the Daily Clean mode within a couple of month’s, wasting the extra modes. This therefore makes the 670 a no nonsense option, focused on offering a good clean and getting the job done. Red will be the colour of the charging icon when power is low on the brush, whilst the battery icon will flash green when the brush is on charge. It would be nice, if there was more feedback than this. It would be nice if you had a green light to suggest a good amount of remaining charge or yellow for less than 50% for example, or in today’s world a small screen with a percentage (%) status, but no such luck. Given the often discounted price this can be excused and few in the price bracket, even considering the RRP, offer much more innovative ways of reporting such. Why I feel it is important here is because the battery life is weaker than most other brushes so more frequently will it be depleted if not left on the charging stand. The sides of the brush are a gloss white plastic but not too slippy to the touch. The rear of the handle has a series of ridges that run from the top to about half way down the handle. These act as gripping points for the hand and fingers when in use, these are particularly good if your hands are wet. On the very bottom of the brush handle is a recess, into which the pin on the charging stand connects too. Right at the top of the brush handle is a metal prong, this is what the brush heads connect to and feeds the power from the brush motor. 2 brush heads are included in the box, the style of these will depend on the variant you buy, but more often than not they are CrossAction heads. There are 6 main styles of brush heads available from Oral-B, although there are a couple of other specialist options too. Click here to see the difference brush heads on offer from Oral-B. Fitting the heads is simple. Align the metal prong from the top of the brush handle, with the hole in the shaft of the brush head and push the two together until you hear and feel them clip into place. Pull the two apart to release them. You can change or replace as frequently as you like. One brush head per user and remember to replace the brush head for a new one on average every 3 months. You should do this to avoid doing damage to the teeth and for hygiene reasons. It can be difficult to remember when you last changed or replaced the heads. All official Oral-B heads have these fading bristles. Provided with the 670 is the brush head stand that clips around the charging stand. The two prongs that stand upright at the back of the stand give a home to brush heads when not in use. If you are wondering how you tell the brush heads apart, coloured rings are included that fit to the base of the brush head and act as an indicator. One of the more cost effective brands, Oral-B brush heads typically cost around £3 per head to buy as replacements (buy larger packs to keep the cost down). You can purchase alternative third party brands such as Molarclean which will save more money. These heads although very good, will forgo features like fading bristles and not offer the range of brush head styles. All of the brush heads provide a good clean, in my opinion, the CrossAction is the best allrounder, although the Sensitive brush head (sold separately) may be better for those opting for an electric toothbrush for the first time or suffering from tender gums. Sadly Oral-B brushes tend to be at the noisier end of the scale compared to Colgate or Sonicare. When running the 670 emits a bit more of a mechanical sound than the softer strong humming vibration of the others. The Pro 670 will undoubtedly offer a better clean than a manual brush and the built in timer will ensure you clean for the appropriate amount of time. Built in as standard is a 2 minute timer and quadpacer. At 30 second intervals the brush will provide an audible warning via a slight pause in the brush motor at to tell you to change quadrant. Once the 2 minutes are up 3 brief pauses in the brush motor will be heard and felt. 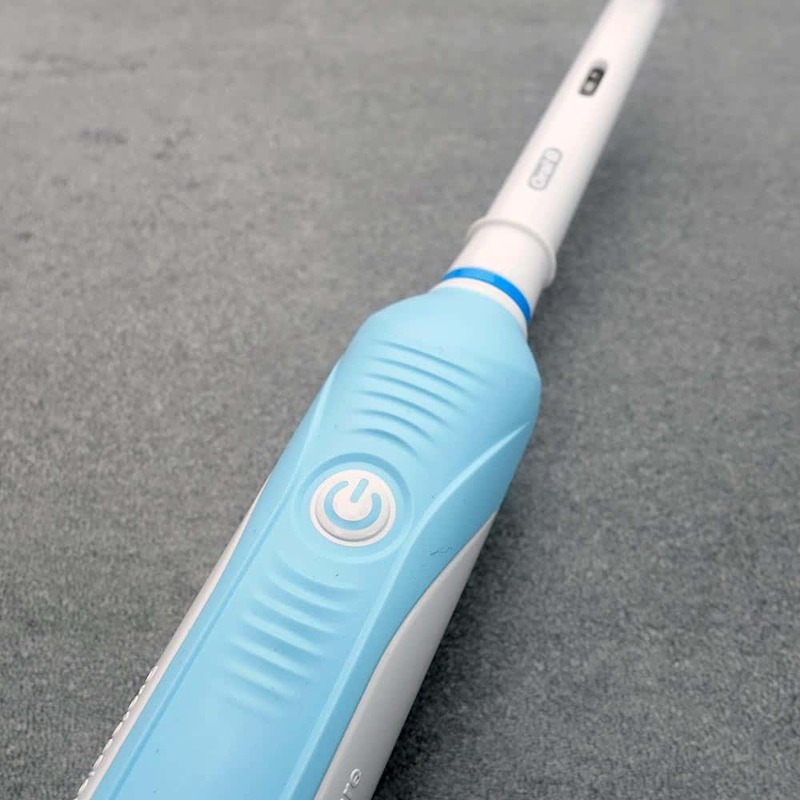 The technique for brushing with an electric toothbrush is different to that of a manual brush. Do familiarise yourself with our guide to brushing your teeth properly if you are not familiar. Switching to an electric might be a bit daunting and you are not sure whether it is worth the investment. You might therefore be pleased to hear that Oral-B offer a money back guarantee. It is essentially like a trial, whereby you can buy and try the brush. Should you not like it you can return it for a refund. This is particularly useful if you are unsure whether an electric toothbrush is for you. Find out more about it here. 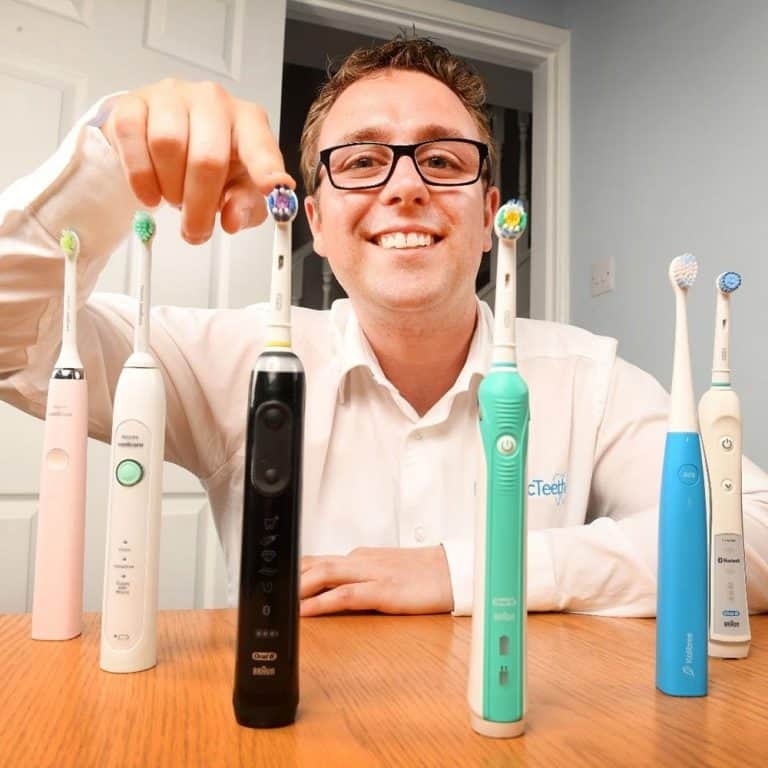 If you keep the brush, you will be pleased to know it comes with a 2 year warranty as standard, but register the brush online with Oral-B and you can extend this to 3 years (36 months). No other leading brand offers quite such a long warranty. Comfortable to hold in hand, slim with grips. For some the battery life of this brush is simply not good enough. The Pro 670 boasts only 7 days usage, based on 2 cleans per day at 2 minutes. That is 28 minutes of brushing time. Most other brushes are double this, if not triple! The positive element here is that the inferior battery life helps keep the cost down. The negative is that when 95% of the market is double this the Pro 670 looks like a weak option. It does still use an older battery technology, Nickel Metal Hydride (NiMH) batteries, where almost all others from Oral-B use the newer and much more reputable Lithium-Ion. For those who do not travel all that often and the brush is going to spend most of the time sat in the bathroom waiting for its next use, the battery life is actually fine. In fact, seeing as many people leave their brushes on the charging stand all the time (when not in use) it has little impact as it is always getting replenished. The 670 almost encourages you to put it on the stand, given that the brush head stand that comes with this model clips around the charging stand, so it looks right to dock the brush if you like on the stand. Made of plastic, there is a prong on the top of the charging stand, which will fit into the recess on the base of the Pro 670, to allow it to be recharged. This charger has a power cable that will typically connect to a power socket found in a bathroom. 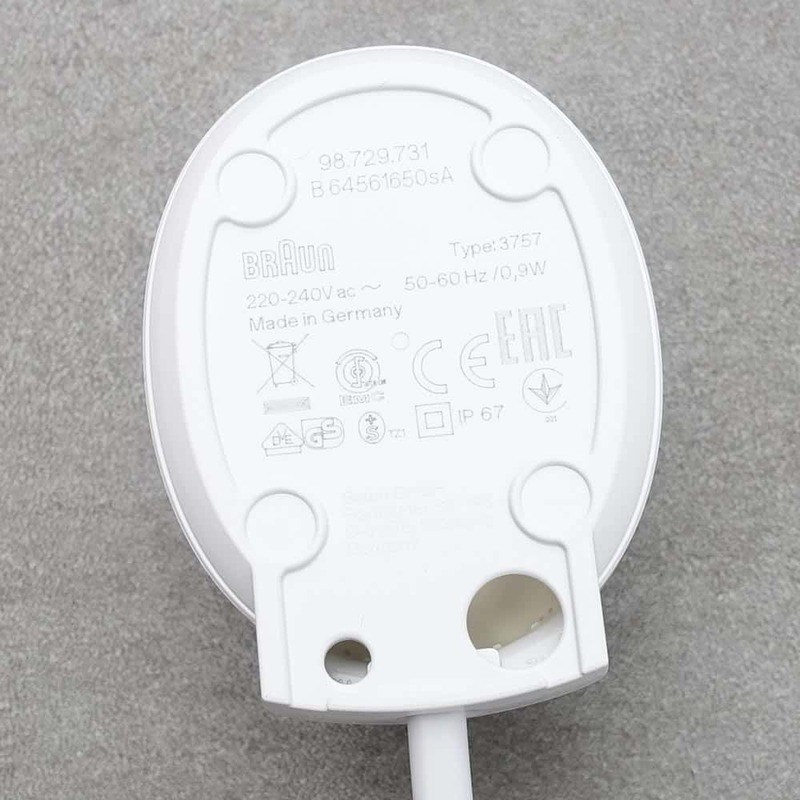 The 2 pin connector works on 220-240v and can be connected to a 3 pin UK socket with use of an adapter. It usually takes up to 16 hours to recharge the brush fully. It is a relatively slow charge. I tend to leave it on charge overnight. It is quite safe to leave the brush on the charging station/dock all the time, but do be aware this could reduce the batteries performance over the years, so to avoid degrading the battery be sure to run it down completely every now and again (once every 6 months) and then recharge it fully. This is what either makes or breaks the 670 in my opinion and whether it becomes your next electric toothbrush or not. Most often this brush will be compared to the Pro 600 (1 brush head and no charging stand). The 600 has an RRP of £49.99 compared to the £59.99 of the 670. The 600 sells on average for about £25, but can be bought on occasions for as little as £15 — we have included a live price comparison here. The 670 on the other hand can be as cheap as £25 but is often much nearer the RRP as few stock this model and those that do often then charge a premium. In my mind therefore the 670 becomes worthwhile if it is cheaper to buy it than the 600 plus the other two items separately. Thus if the 600 is £25 and the 670 is £25, you and I both know which to opt for. However, if the 600 is £15 and the 670 is now £40, it is cheaper to buy the extra brush head and brush head stand separately. £11-12 is approximately what it costs to buy the parts on their own. The 670 is one exception whereby it is not always sold at 50% less than the RRP. Even at £35 the 670 is still a decent brush for the money, but as the price creeps up, you begin to have other options available to you that may present better value. Our normal rule is to price the brush over a 3 year period, based on the average selling price. Sadly for the 670, the average selling price is the RRP which means that the average cost (based on one user) the 670 will cost £90 or 8p per day to own. But, when discounted, this brush becomes a much more attractive option. Using the lowest offer price we have seen of £25, the total cost of ownership becomes £55 or 5p per day over 3 years. This price does exclude the cost of water, toothpaste and electric to charge it. This price also works on some assumptions, but but you get a rough idea. You can bring the cost down further if you were to share it with other members of your household, just be sure to change brush heads. At the end of the day pay what you are happy to pay and what you believe it is worth to you. Where possible here at Electric Teeth we like to comment on the reliability of the brush and how well it deals with everyday life. There is no science to this testing. The brush is not subjected to specially calculated, falls, water pressure and other lab tests. Having handled many brushes, spoken to many and heard countless stories on brush reliability, I have a good feel for what will and won’t last the test of time. Where possible we test for extended periods of time and adjust review findings where appropriate. With Oral-B’s track history, and having given the 670a good check over I see no obvious weakness and it proves to be a reliable brush. The nature of the product does mean it is prone to failure but given the cost and the option of extending the standard 2 year warranty to 3 years for free there is no room to grumble. 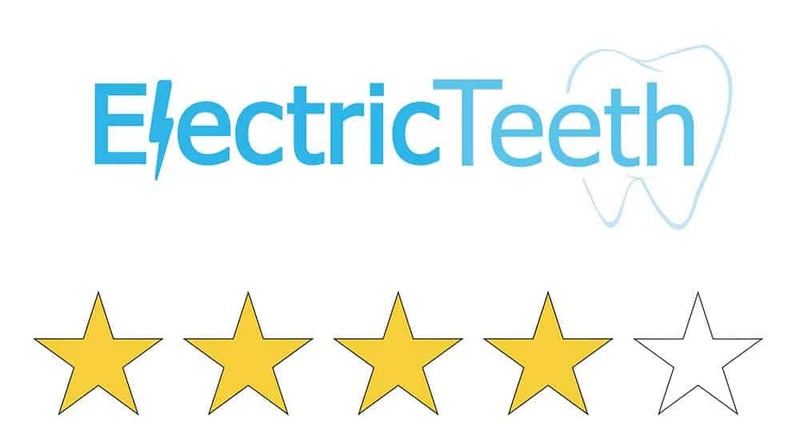 The longest warranty on offer by any of the big name brands and although perhaps not giving the reassuring weight and quality in hand of a Philips Sonicare brush it is a solid unit. The Pro 670 is based on the Pro 600, but comes with an extra brush head and brush head stand, but it does so at a price premium. 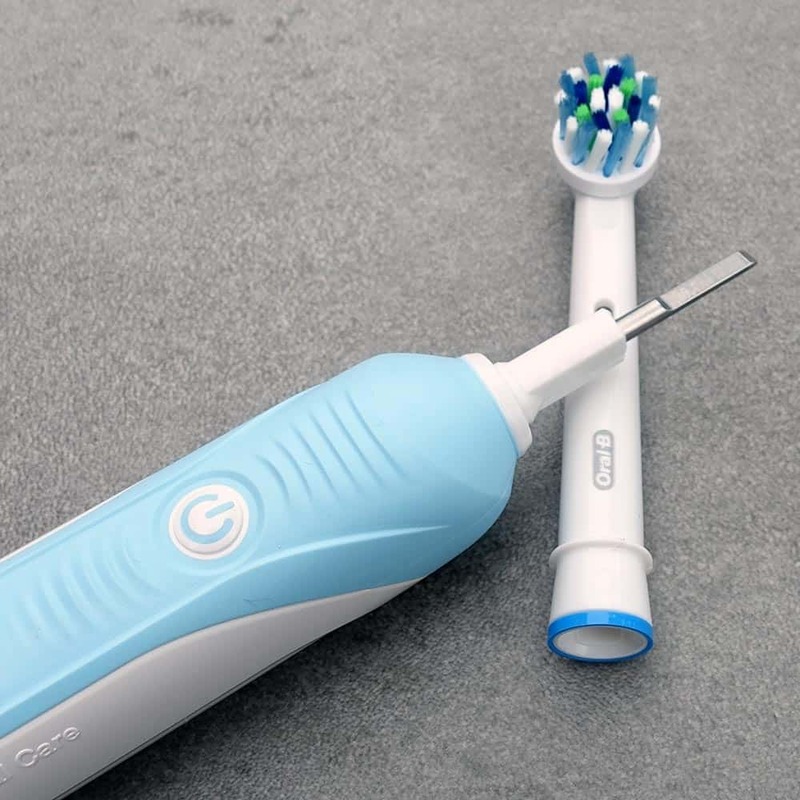 Slim, comfortable to hold and with a small round brush head, it is a solid electric toothbrush, many will be happy with what it offer. But, with just 7 days battery life there are better value options available. The Fairywill FW-917 is great for those on a budget. For just a few pounds more, our choice is the Oral-B Pro 2 2500. It offers a lot more and is the better value brush to buy. Is the Pro 670 an oscillating brush? No, it has just one cleaning mode, Daily Clean. For more cleaning modes consider the Pro 2 2000 or any others above this in the range. The brush head that is supplied with the Pro 670 is usually a CrossAction head. However it does depend on the package you choose. There are a range of interchangeable heads available including Floss Action, 3D White, Sensi UltraThin, Precision Clean and TriZone. Does the Pro 670 have a pressure sensor? Does the Pro 670 have Bluetooth? Does the Pro 670 come with a warranty & how long is it? 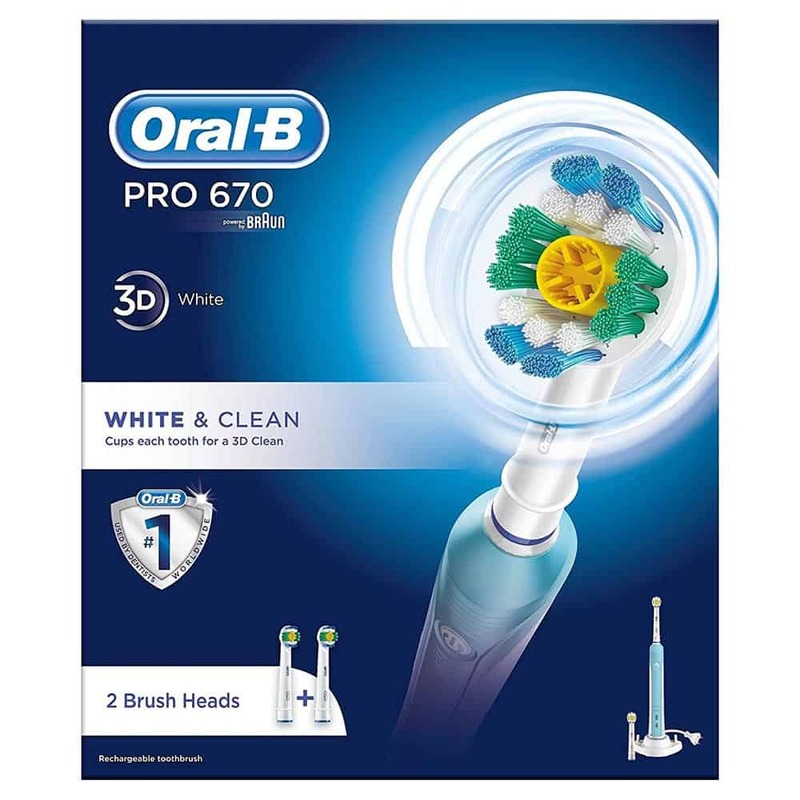 If purchased new from an approved retailer the Pro 670 will come with a 2 year warranty which can be extended by a further year to 3 in total if you register the brush online on Oral-B’s website. Does the Pro 670 have a built in timer? No, the Pro 670 does not have a wireless smart guide included. Yes, a charging station is included with the Pro 670. The Pro 670 charging station or brush head holder has not been designed to be fixed to a wall. Can I use the Pro 670 in the shower? Yes. The Pro 670 is water resistant so if you choose you can use it in the shower. Avoid submerging it in water. 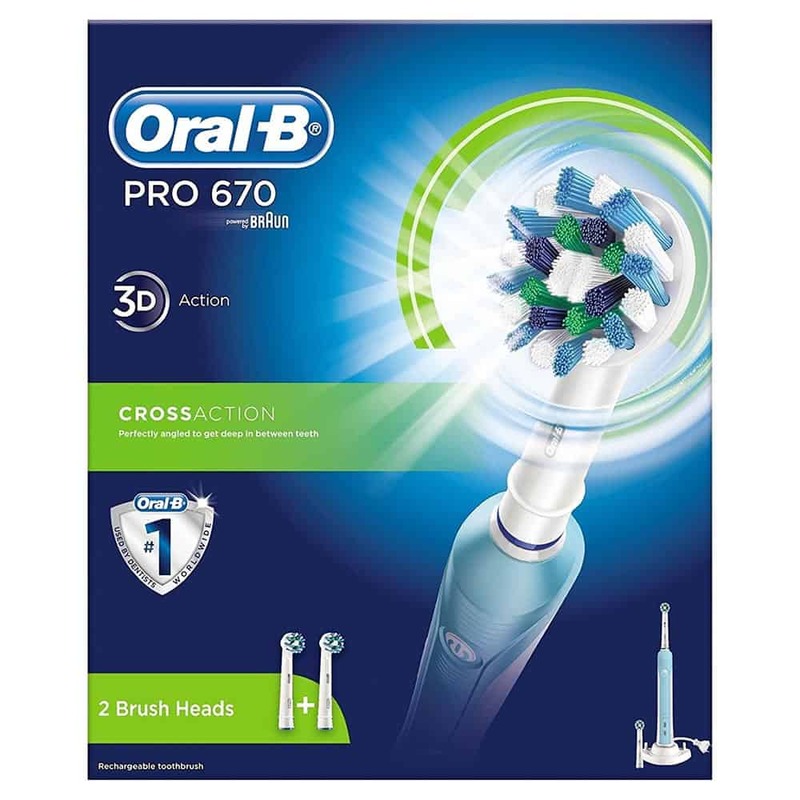 Do you own or have you used the Oral-B Pro 670?